You’ve probably heard that you can include investments in precious metals in an IRA. In this episode of his popular blogcast series, David Moore explains just what a precious metals IRA is and what’s involved in adding them to your portfolio. David Moore: That’s a great question and one that comes up fairly often these days, especially with the move for people to go to hard assets as people want tangible assets, inflationary hedges, and everything; and precious metals definitely offer you that. The thing that’s interesting is every time we hear an ad on the radio or see an ad on TV on this, it’s implied that it’s something you need, that you’ve got to have a precious metals IRA. The reality of the situation is a precious metals IRA is no different than any other IRA. We’re going to set it up the same way we normally would by moving money from a custodian that won’t allow you to make that investment to one that does, and then it’s just a question of whether you’d like to have physical custody of the metal or not. When you’re talking to a dealer about making investment, quite often, they’re going to have custodians that they work with in and out. You need to make sure that it’s an IRA 401K compliant investment, since not all precious metal is. It typically falls down to purity of the metal, but your dealer should be able to help you out once again with that. Some custodians will actually take custody of the metal. If you want to have physical custody, then it’s going to require a checkbook IRA, but that’s really your choice. Once again, any IRA can hold it. It’s just a question of the custodian, and who’s going to allow you to do what you need to do with that and what you want to do with it. 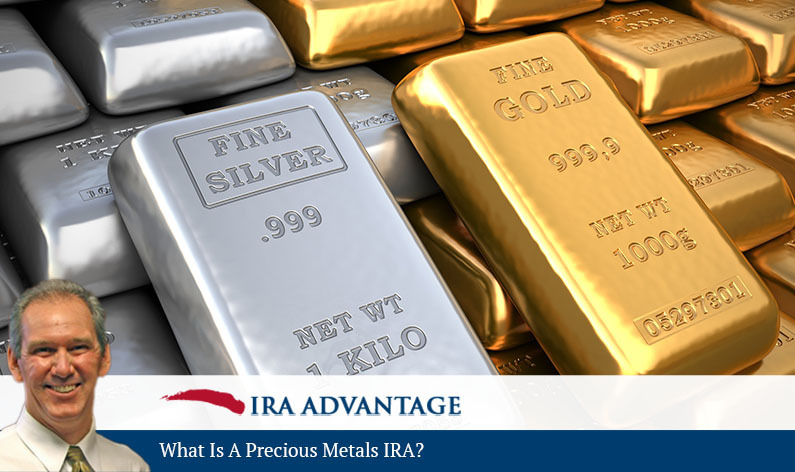 Precious metals invested in an IRA are just one example of the many types of investments that can qualify. Count on David Moore and the experts at IRA Advantage to show you the right way to do it. Get started by calling 503-619-0223 today!